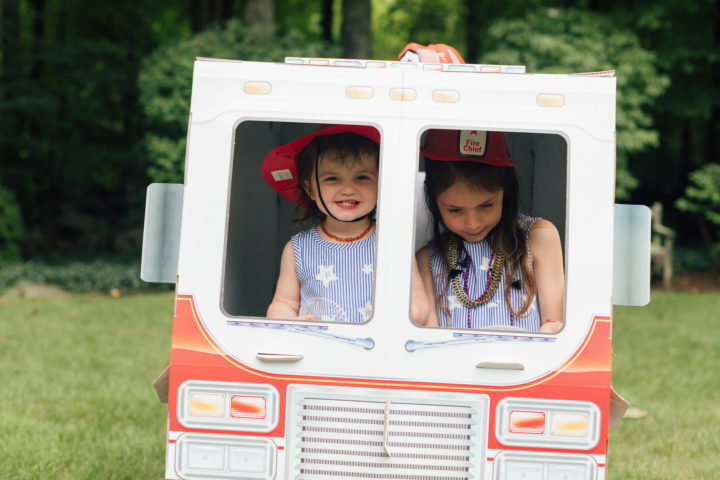 **Many thanks to Melissa & Doug for helping me throw Marlowe such a fun birthday party, and for sponsoring this post! As always, the thoughts and opinions expressed below are entirely my own. 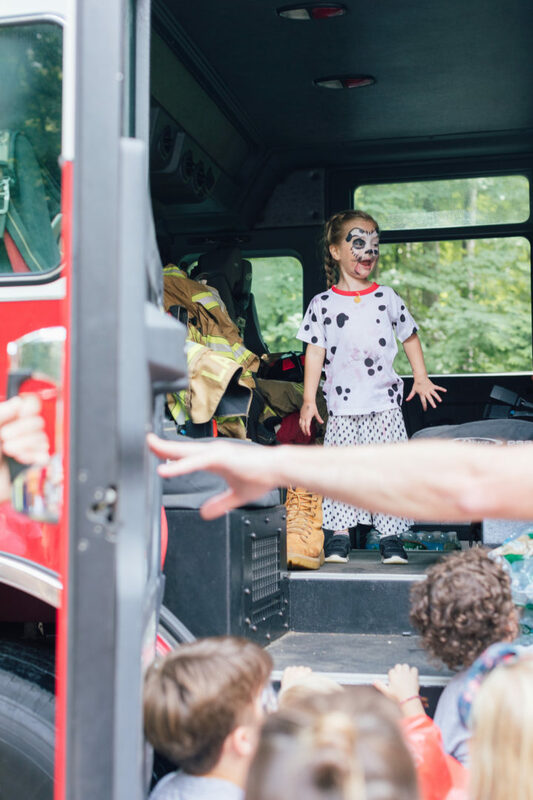 Marlowe just turned four, and to celebrate she wanted to have a Firetruck/Firedog themed birthday party! 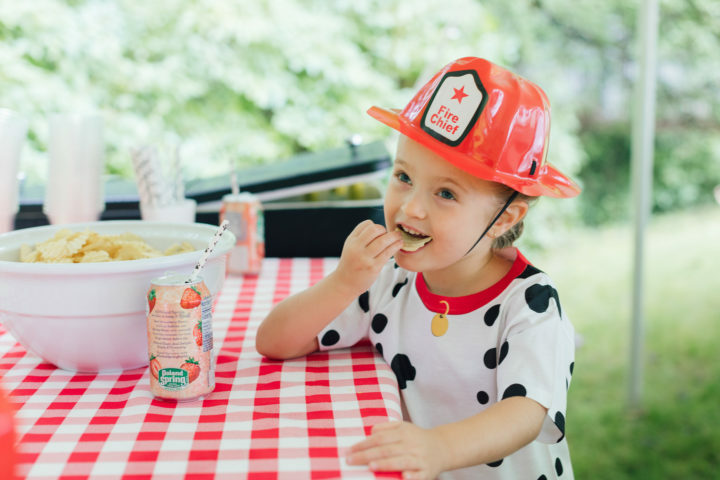 I loved her idea for the theme since in her eyes there is pretty much nothing cuter than a Dalmatian, and in my eyes there is pretty much nothing cuter than a Fireman. LOL (but actually). 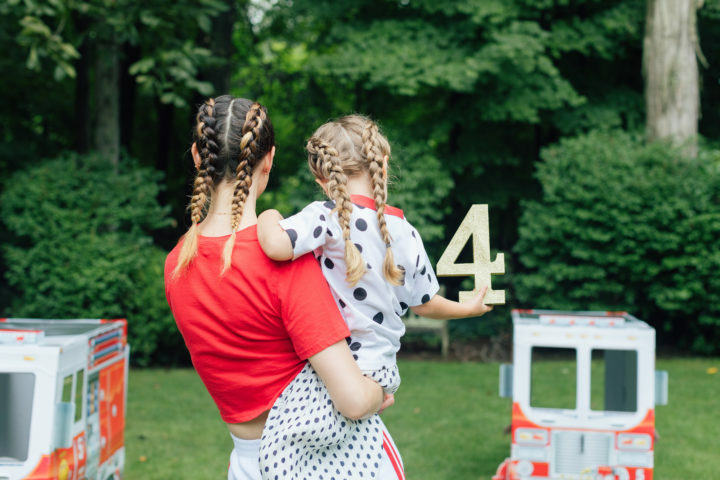 Seriously though, I thought it was such a cute and unisex theme that BOTH my kids would absolutely love– and that all the party guests would enjoy as well! 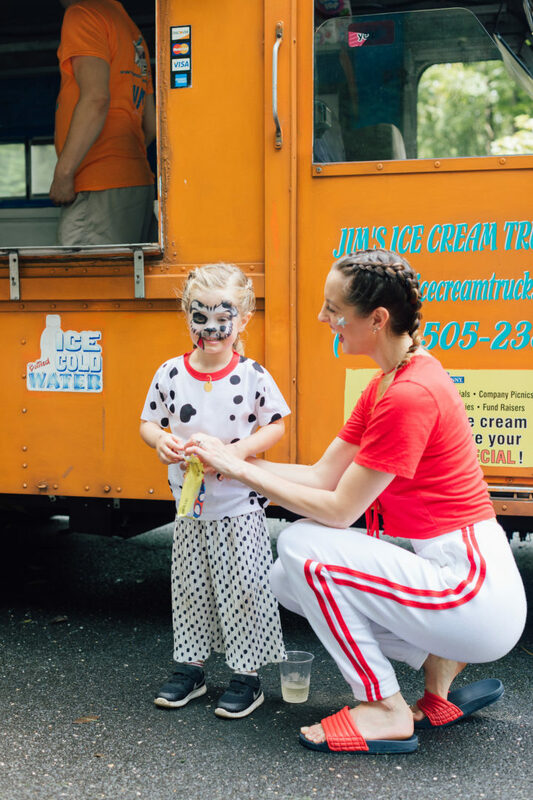 Marlowe has been to three different schools in two years– and so there were MANY children on our guest list! 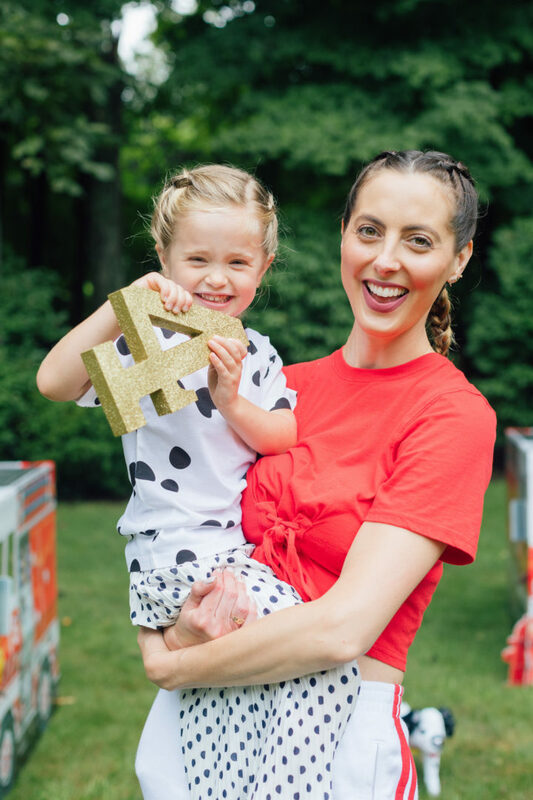 I wanted to have a party that would be fun and festive– but that would also allow the large number of kids to run around, enjoy themselves, and celebrate our fave little four year old! 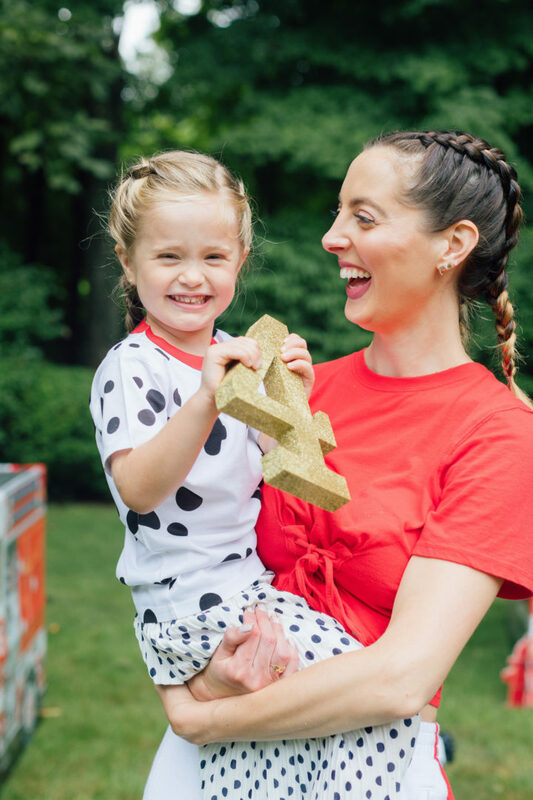 The most special part of the party was that I got to partner with a brand that I’ve loved since I became a Mom four years ago and that I still ADORE to this day: Melissa & Doug! 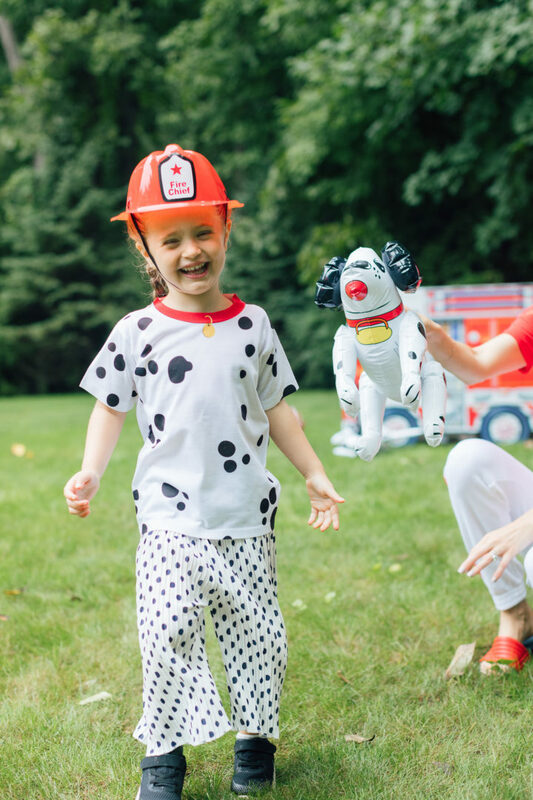 Melissa & Doug is a fantastic kids’ brand that is focused on making high quality, educational and inclusive toys for kids of all ages. 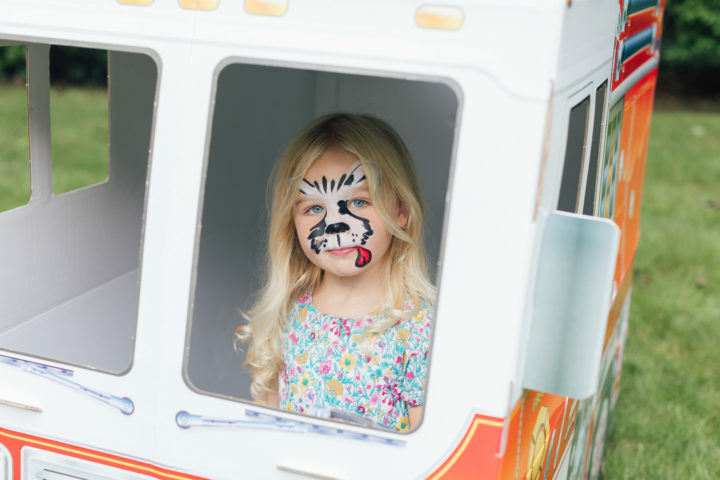 As a brand, they really champion the idea of childhood wonder, and letting kids play, learn, and just be kids. 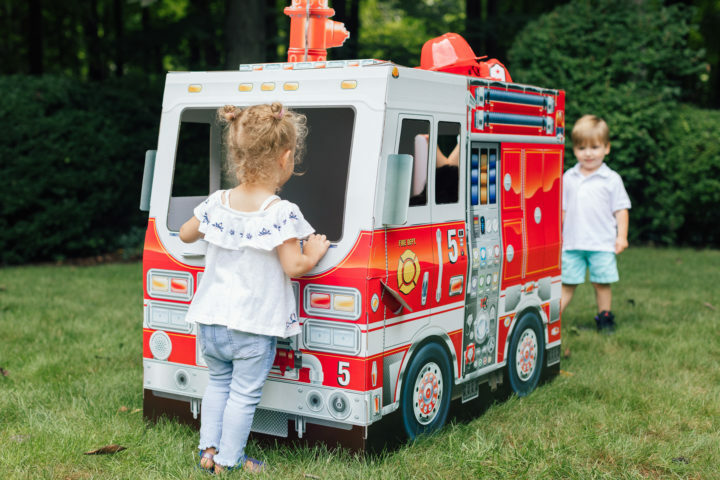 Their products are extremely well made but also so cute and whimsical– and I feel like they always have their finger on the pulse of what kids actually want to play with. For example: Major became obsessed with cleaning and Melissa & Doug had the best toy cleaning set! 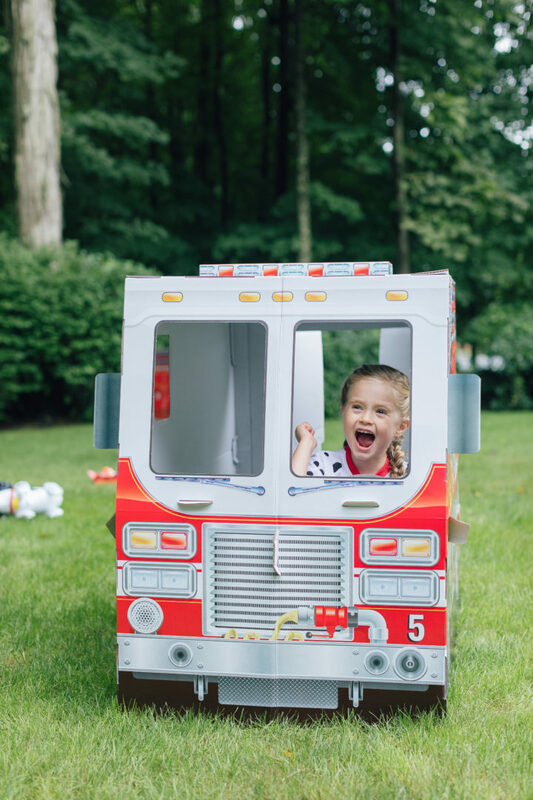 I knew they would have the most perfect toy and decor elements for Marlowe’s Firetruck birthday party! And boy was I right. They have so many amazing on-theme toys! 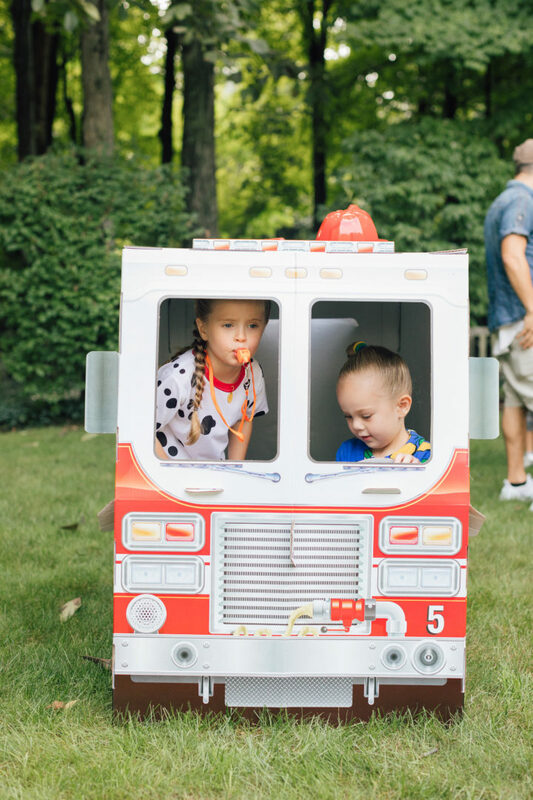 I knew I had to have a few of the cardboard firetruck play houses for the kids to play in during the party, and they were so detailed. I couldn’t believe they were made out of cardboard! The steering wheels even turned and there was a flap on the side to open and “fill up” the gas tank! You could even put a hose through there and have kids pretend they were really putting a fire out! Marlowe and Major were obsessed with them. 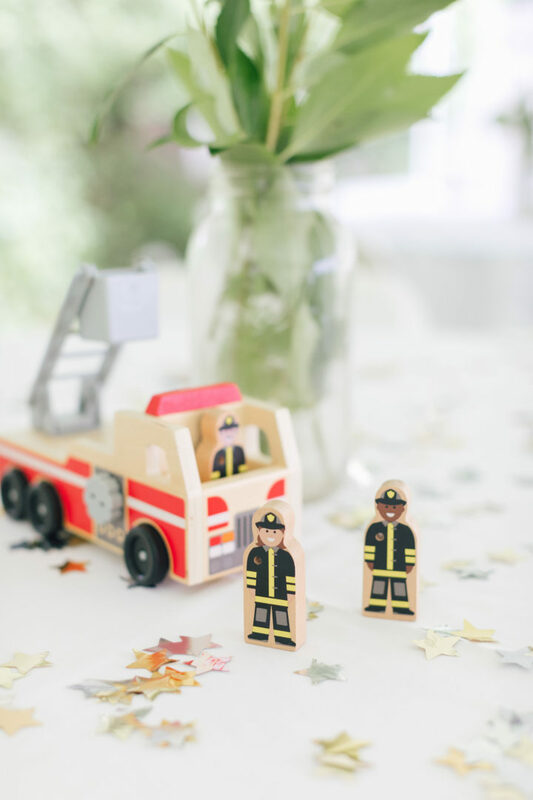 I also used their wooden firetruck toys as table decoration, which my kids have been playing with nonstop for the past week since the party ended. 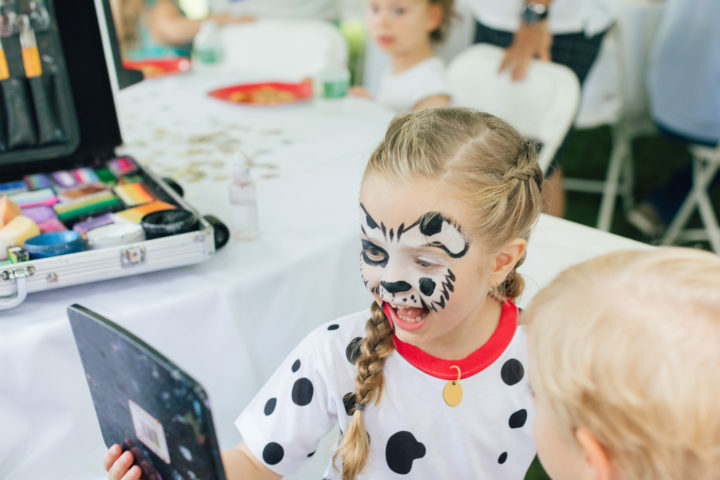 And finally, they had the most EPIC party favors ever for our guests: each family went home with the most gorgeous life-size plush Dalmatian and a firefighter costume! 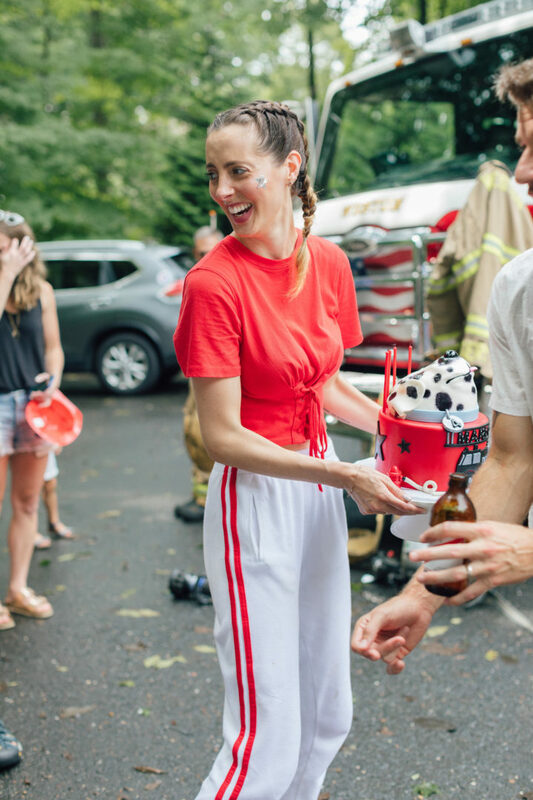 The costume sets even come with accessories like a fire hat, a fire extinguisher, and a loudspeaker. It was so extra, I was loving it! 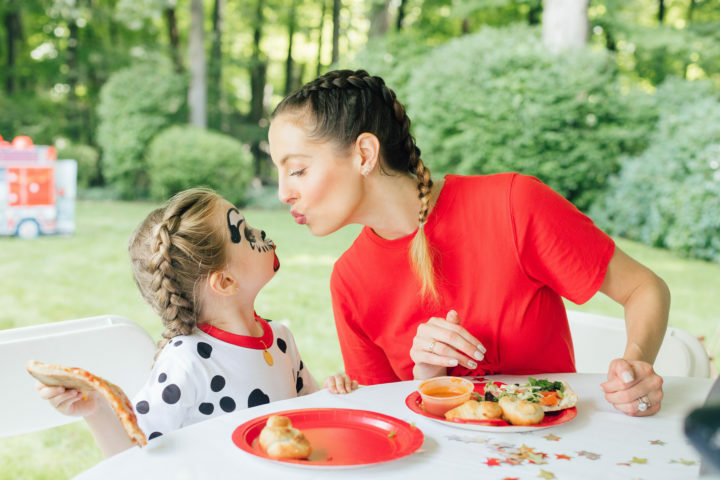 All the special Melissa & Doug details really helped the party come together! 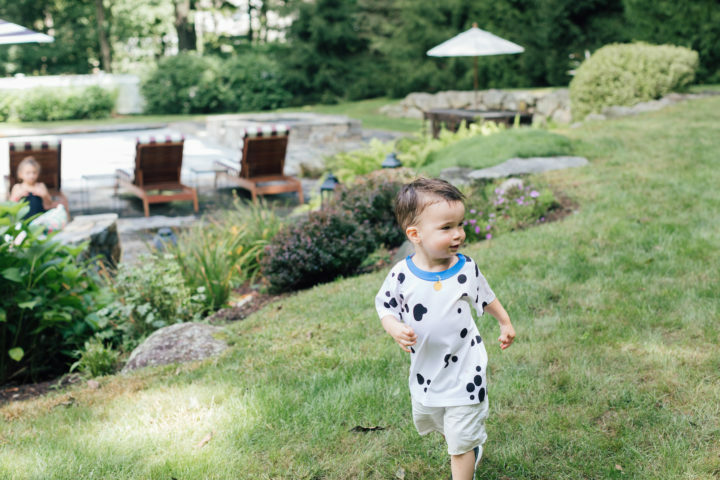 First of all, we got the most gorgeous weather ever– and it had been forecasted for rain! 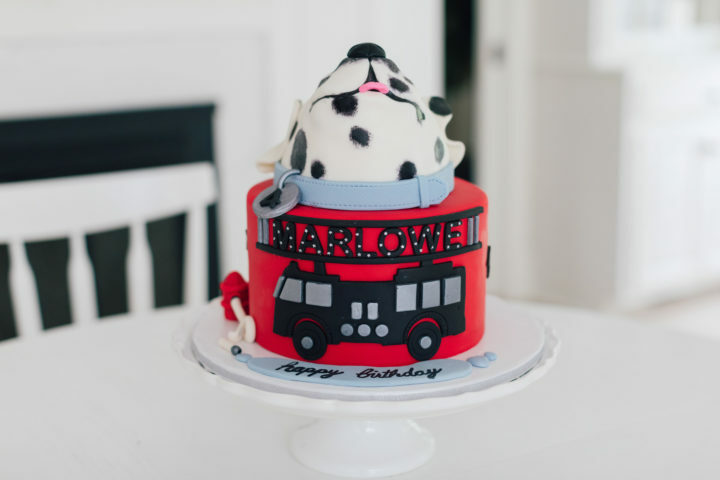 It was like the heavens opened and were pumped to celebrate Marlowe’s birthday! I couldn’t believe it. We had a tent set up with tables for our guests to sit, eat, and relax. I served pizza, salad, and chips. And we had fruit flavored seltzers and wine and beer for the adults. 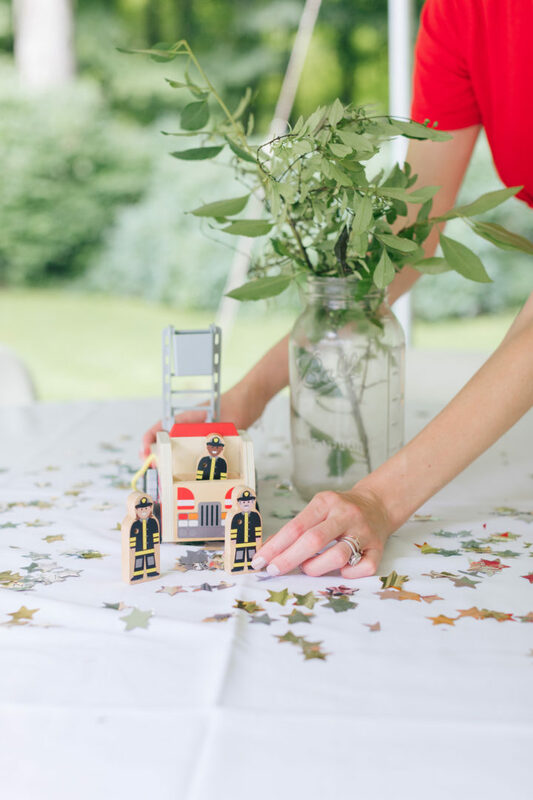 I loved how the tables turned out with the firetrucks and a mason jar of greenery acting as a centerpiece. 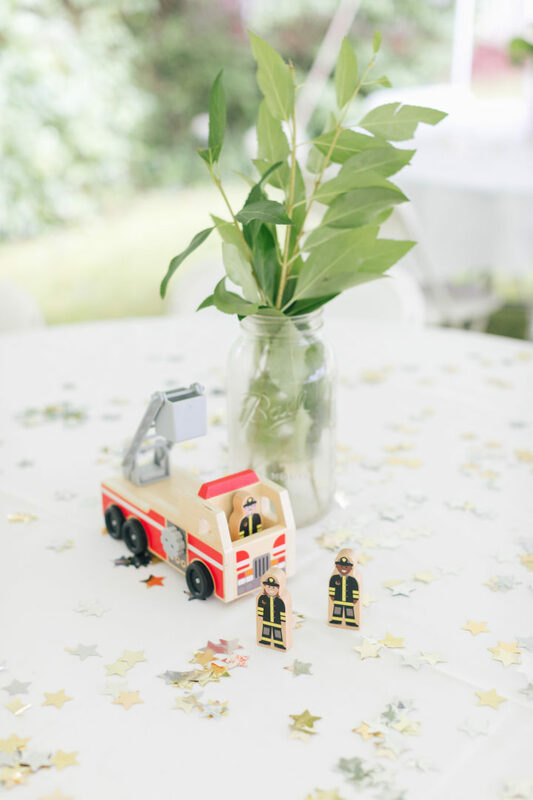 I sprinkled star confetti on the tables to add a little special glamour! 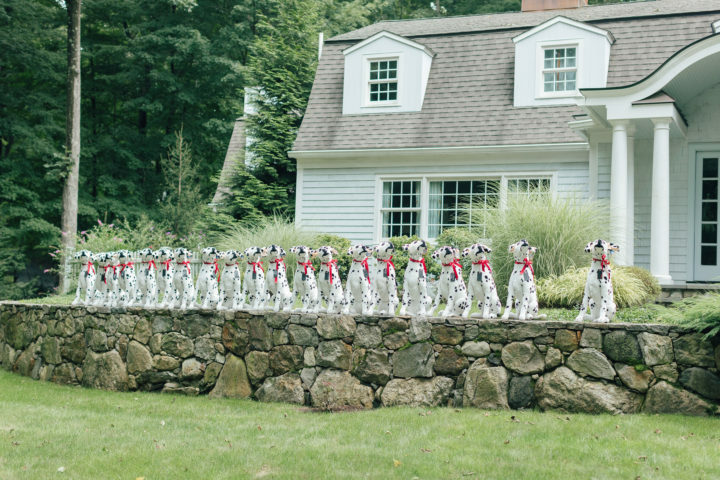 My favorite decoration, though, had to be all the Dalmatians lined up on the wall to greet guests. 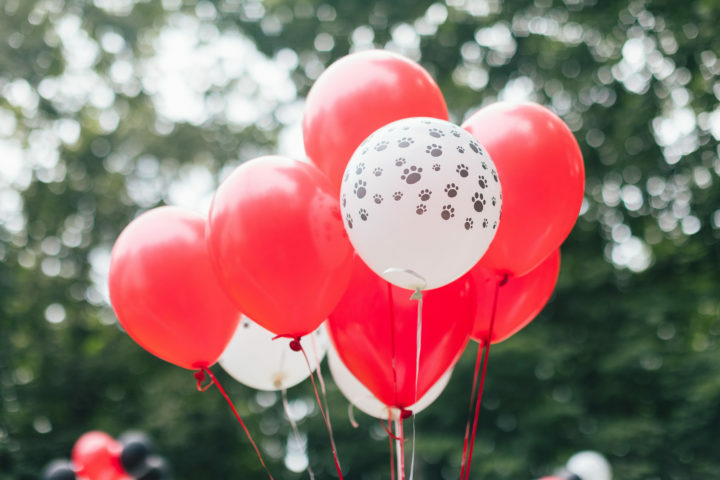 They made such a fun, thematic statement right at the start to the party! 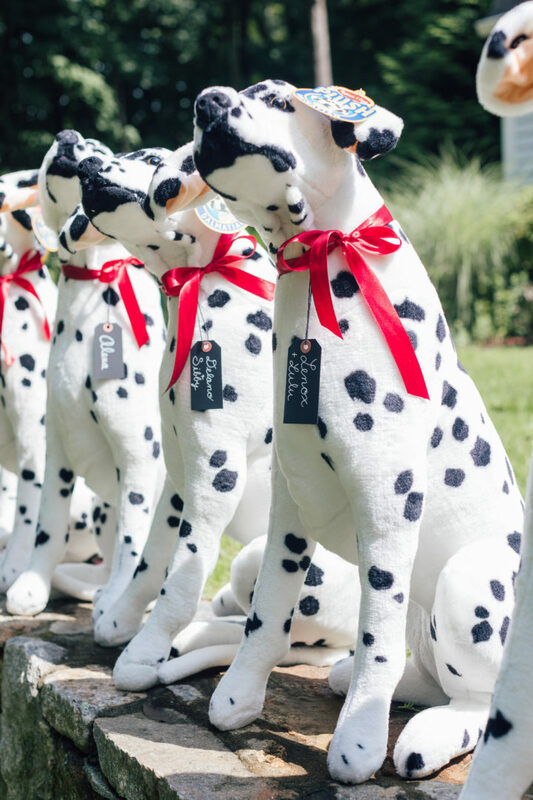 I tied red silk ribbon around the neck of each Dalmatian, and a tag with the owner’s name on it. It was almost like Christmas morning in August! So fun. We have the giant Melissa & Doug plush shark in Marlowe’s bedroom and I have to say that their big plush animals are SO gorgeous and high quality. I absolutely love them. And a firetruck pulled up our driveway!!! 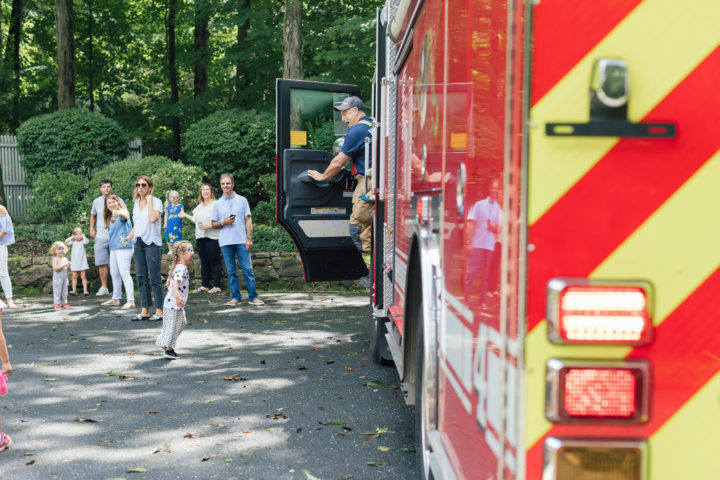 The look on the kids’ faces when they saw the truck with the lights on coming to see them…I’ll never forget it! 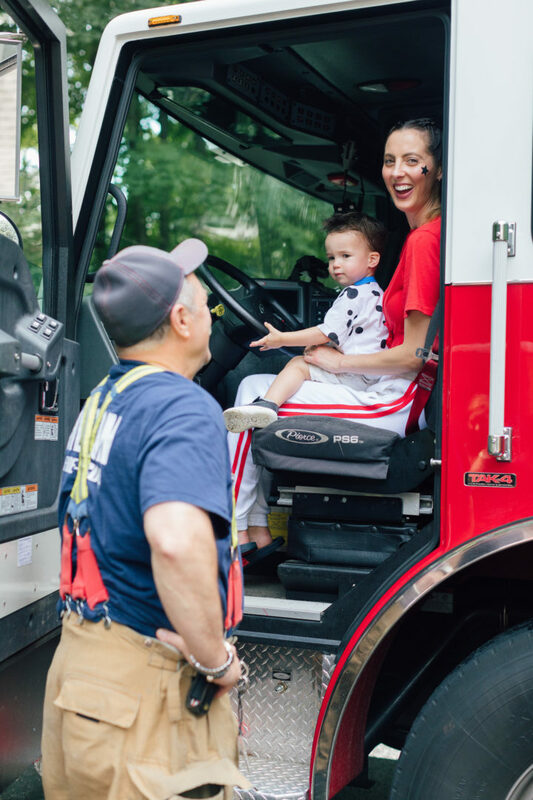 We are so thankful to our local fire department for making the time to visit for Marlowe’s birthday. 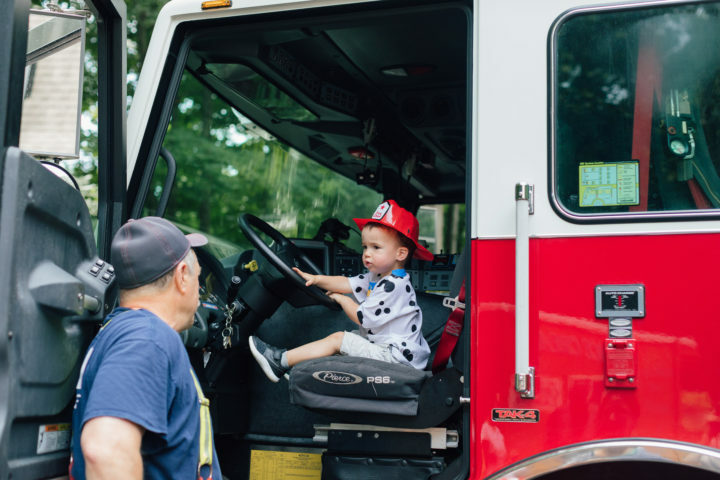 They were beyond sweet, and were so educational for the kids– showing them how all the parts of the firetruck worked and answering a zillion four year old questions! 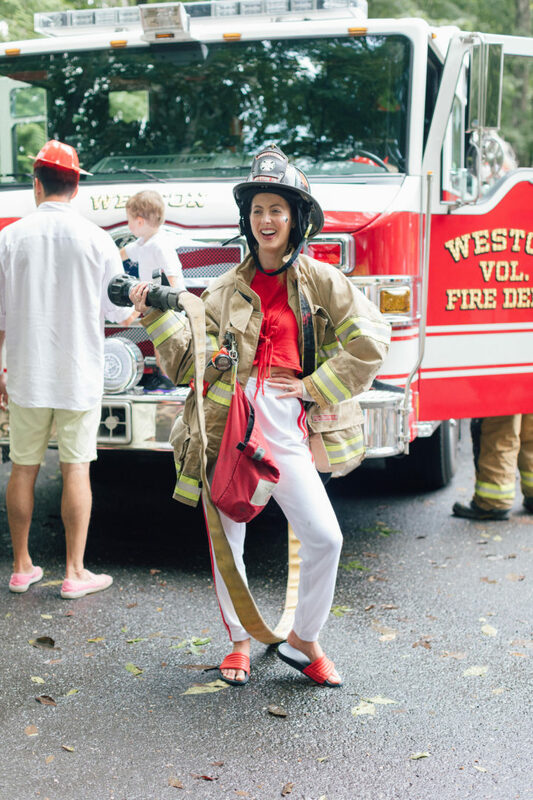 I even got to put the firefighter outfit on– which is way heavier than I expected! 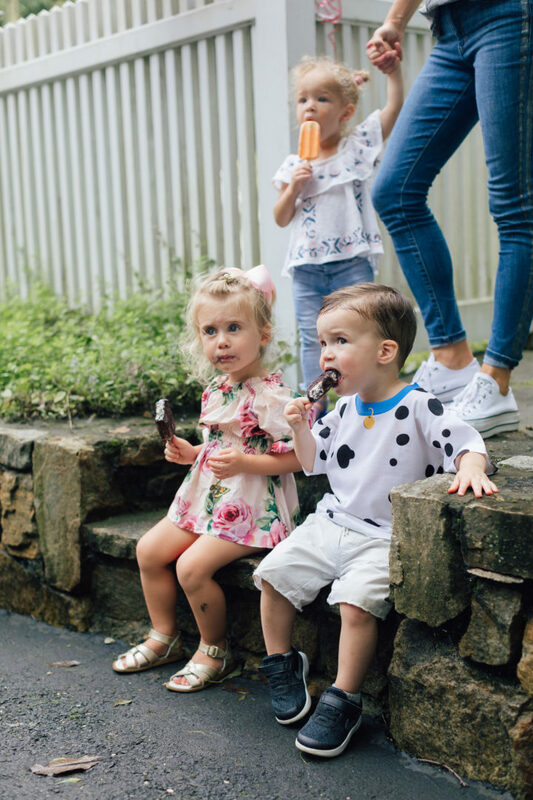 Both of my kids were in heaven. 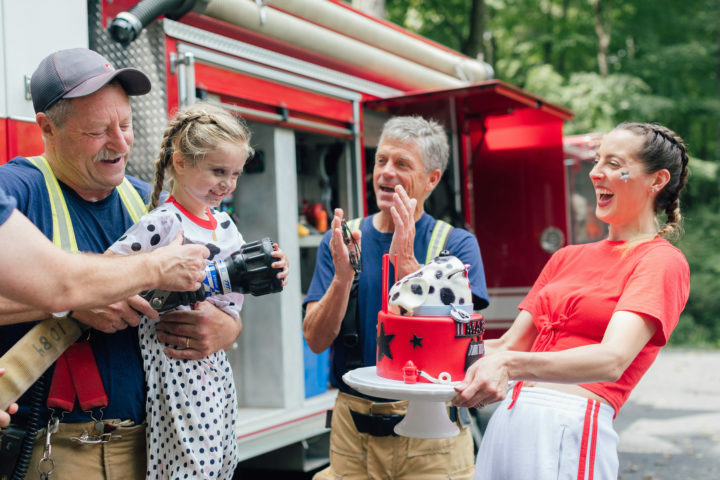 The peak of the whole party was having Marlowe experience a special moment and blowing out her birthday candles with the firefighter! 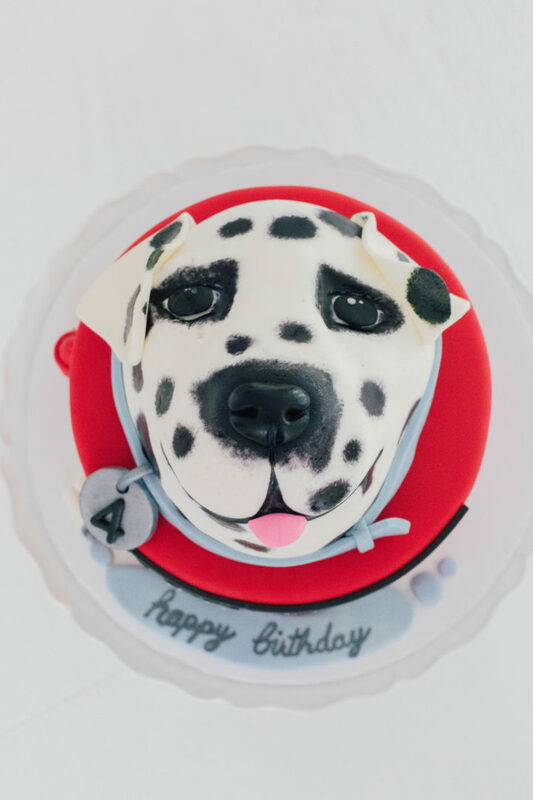 Her cake was beyond amazing– it was a Dalmatian with a “4” on its collar, and the cake was vanilla with M&Ms icing. So apropos! 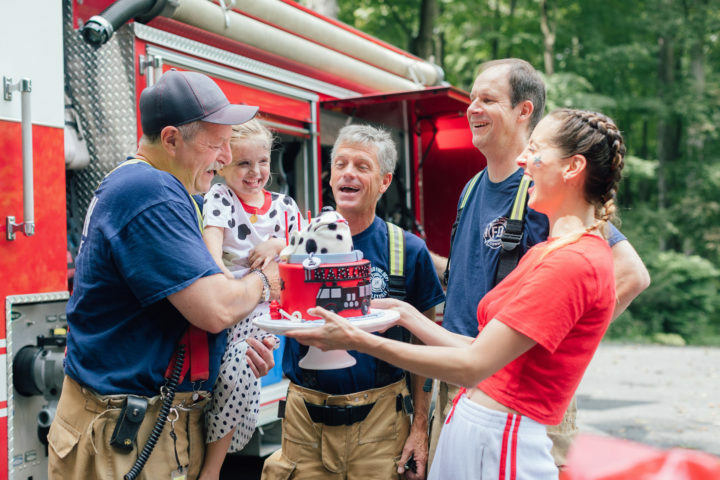 (The baker is @ConfectionsbyCrystal on instagram) We all sang happy birthday, and the firemen helped her blow out the candles. 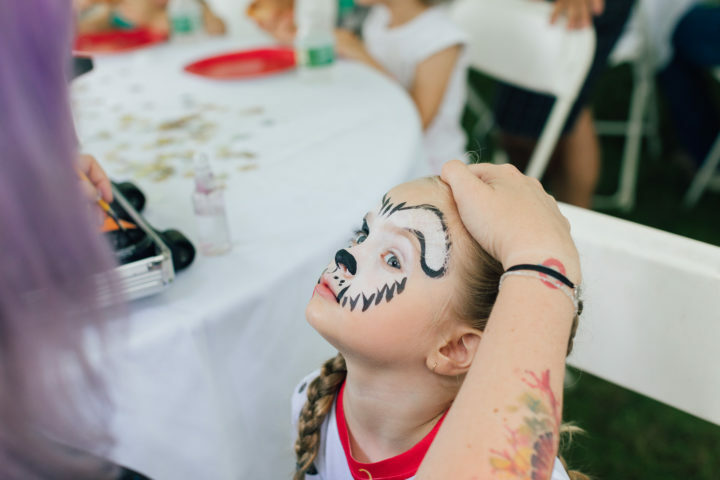 She had so much joy on her face the entire time– as her Mom it was the most special thing in the world to watch. 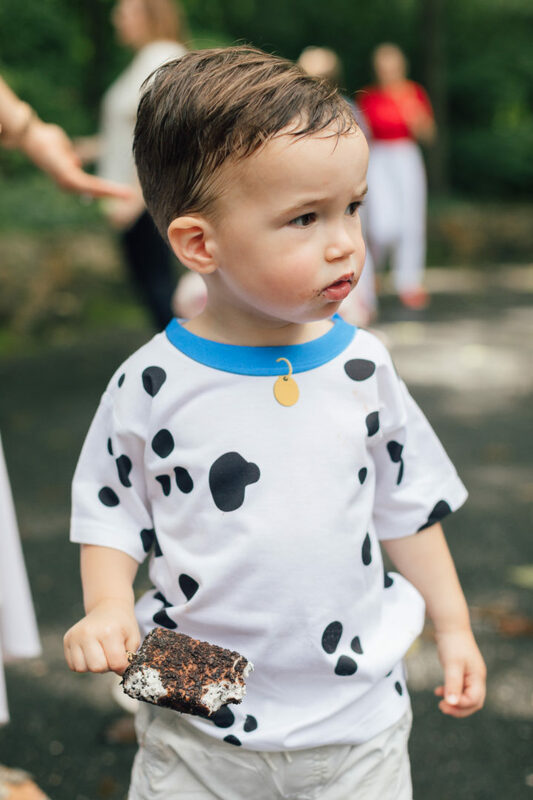 As the kids dispersed, carrying their Melissa & Doug Dalmatians home I just felt so happy that the kids had such a beautiful memento from Marlowe’s special day. 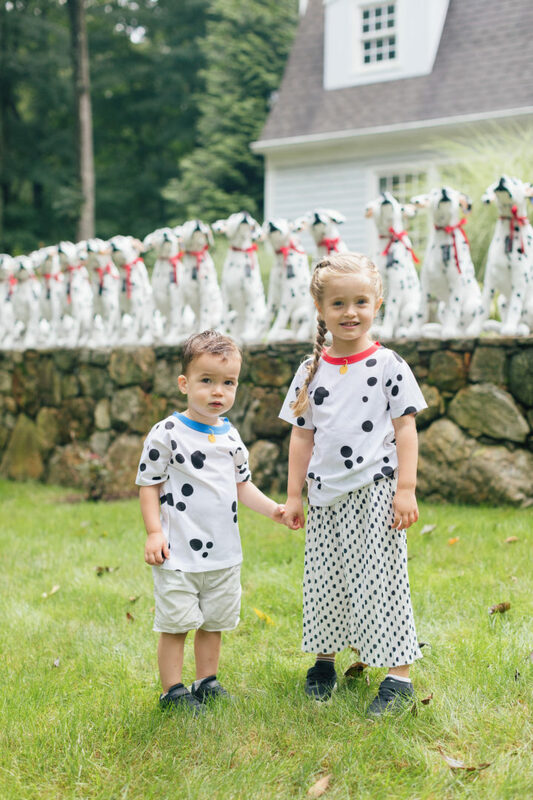 I even got about twenty texts the next day of different kids snuggling with their Dalmatians! A true hit. I don’t know what next year’s birthday will bring, but I can’t imagine topping this one! 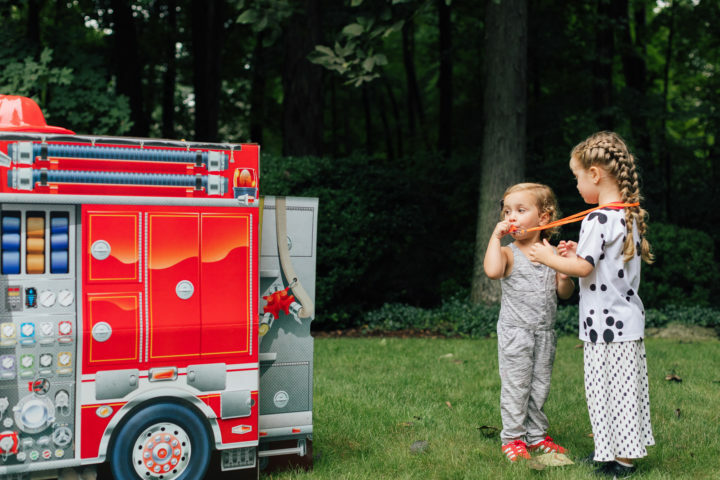 Have you ever thrown a Firetruck themed birthday party? I’d love to hear about the details and decor you chose! Wow, what a party! 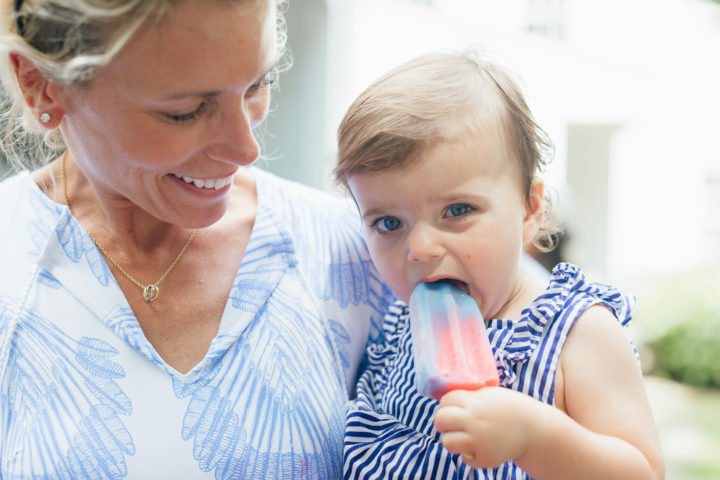 I love the looks of pure joy on Marlowe’s face; I hope she always remembers this! Wow!!! 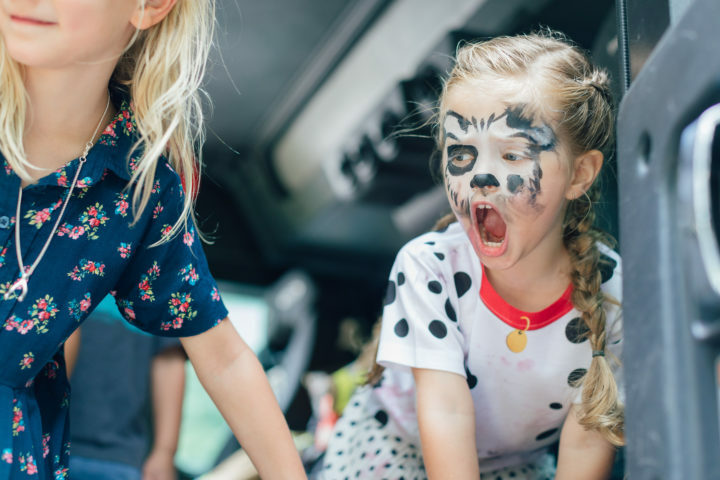 Amazing party – I wanna go!! 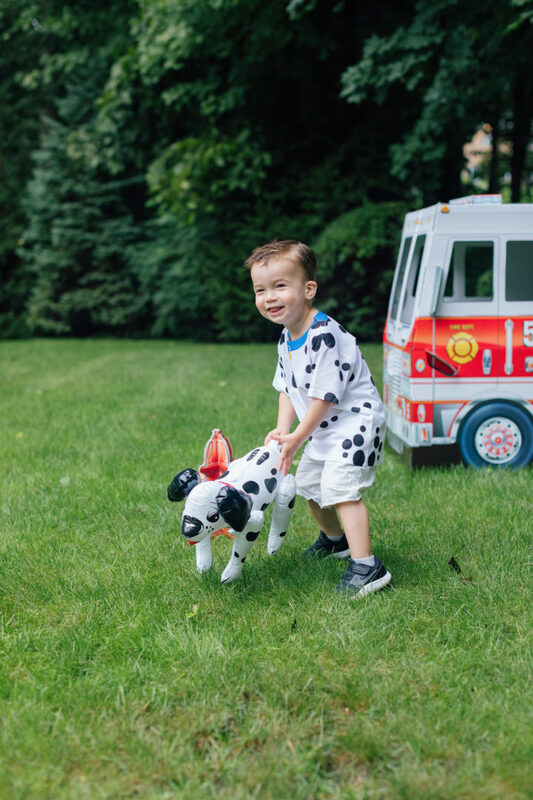 Love those plush dalamations as the party favors. So generous and memorable! You know how to do a party! Such amazing inspiration, as usual! This is INCREDIBLE! 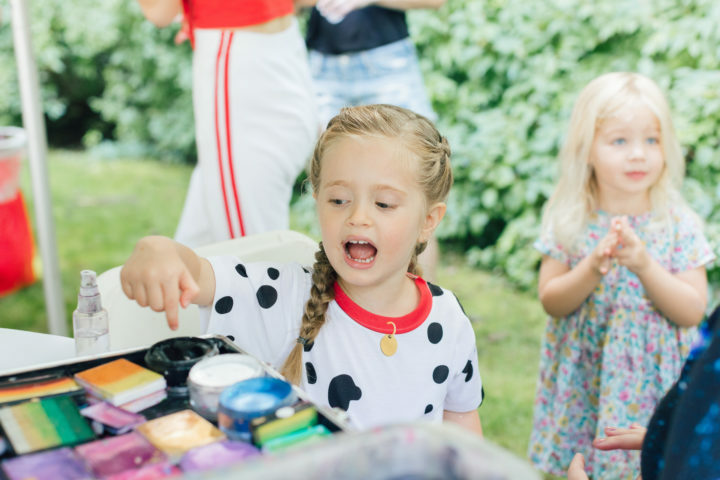 Such kid-birthday-party goals! What food did you serve? 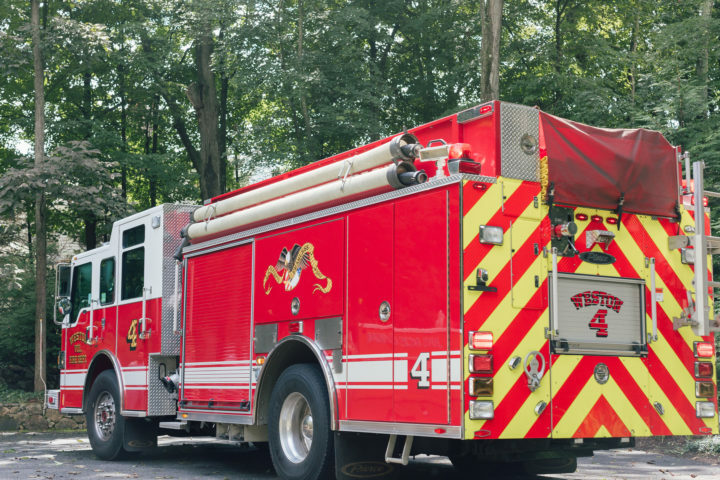 We love firemen around here!!! 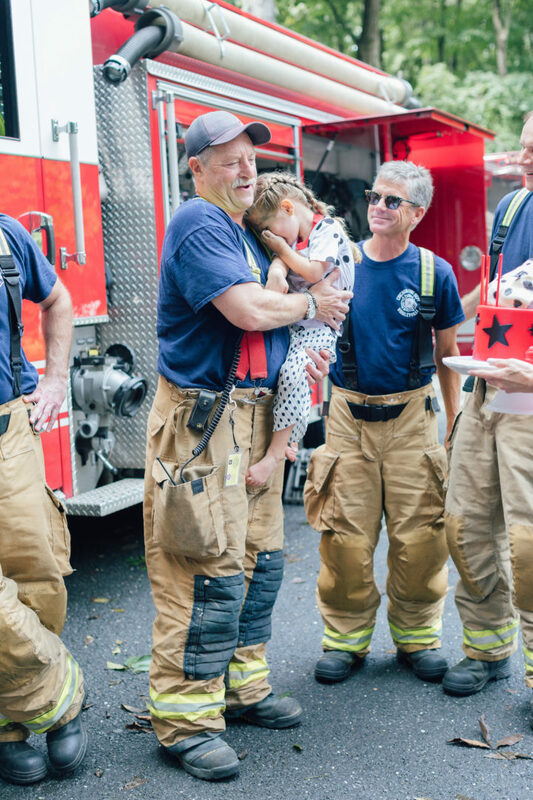 ok, the pictures of you and Marlowe with the firefighters and the cake had me seriously tearing up. 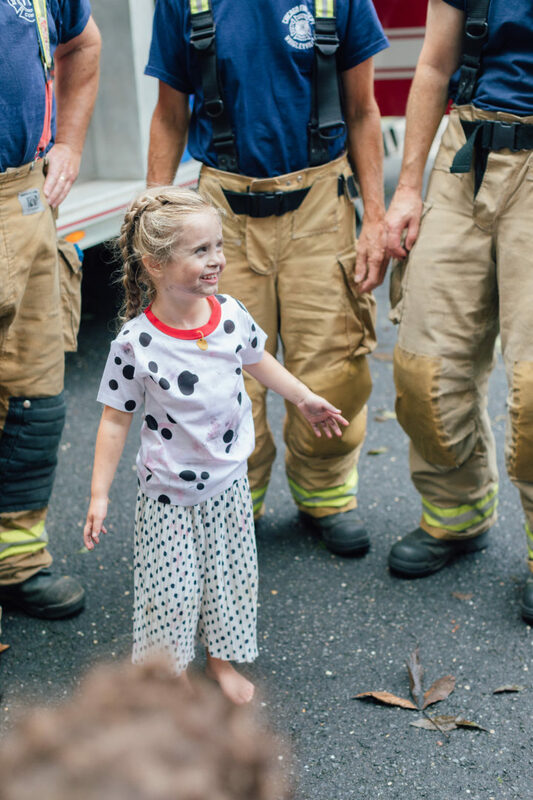 The look on her face is such pure joy! The look on your face seeing her so happy even more so! 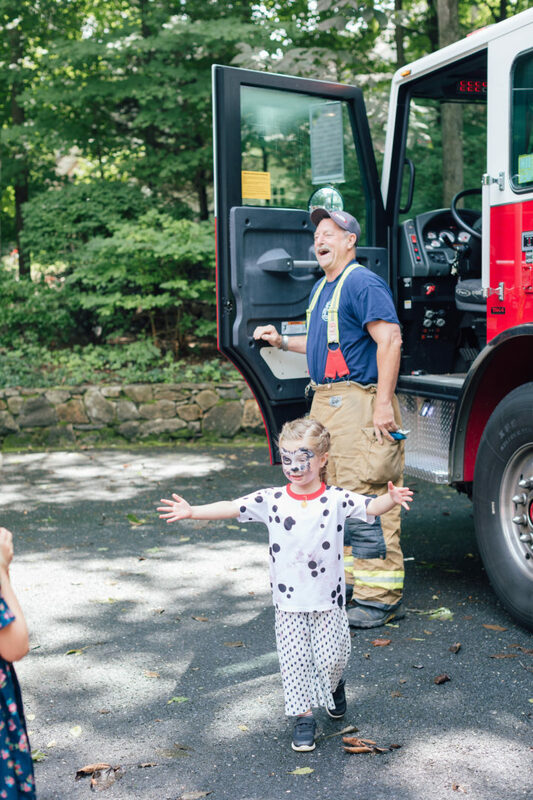 As a 4th generation firefighter family, I can assure you that those firemen had just as much fun as the children did!! 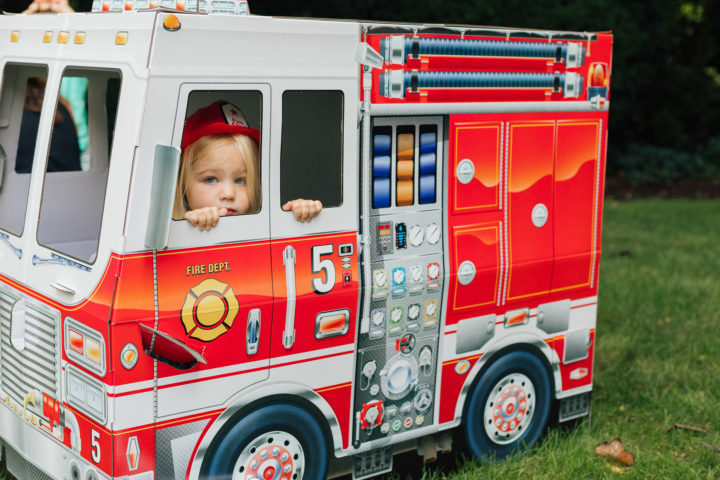 Educating children by getting to show off their “big boy toys” is just as exciting for them as it is for the kids to learn about it! 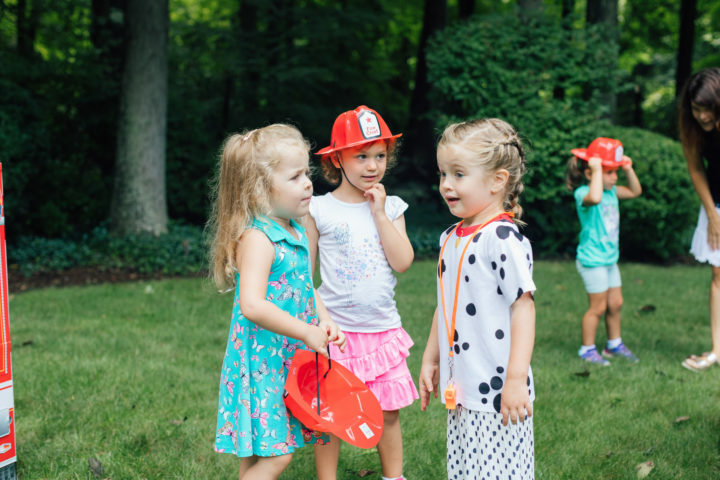 Great party and great theme choice Marlowe! Oh my god, loved everything. 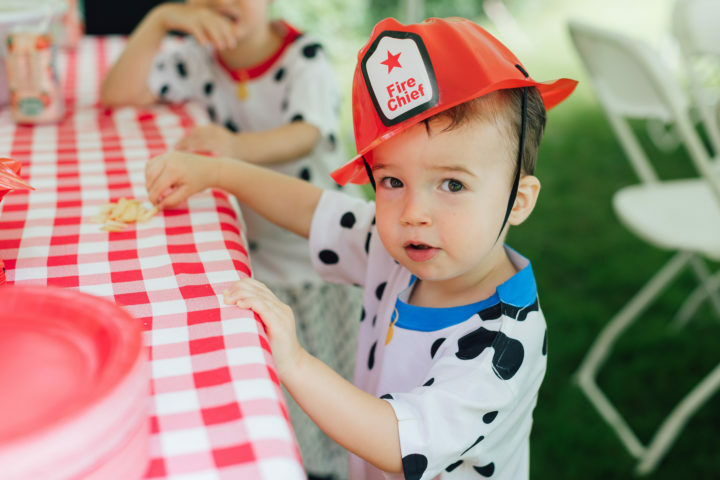 You are so right, how are you going to top this birthday party, from the Dalmatians on the wall, to the Dalmatian cake, the cardboard firetrucks and the actual firetruck with the firemen you guys threw for what I saw/read a gret bday party. I cant wait and see what you do for Majors. I hope Lowie & Major never forget this great memories you give them. 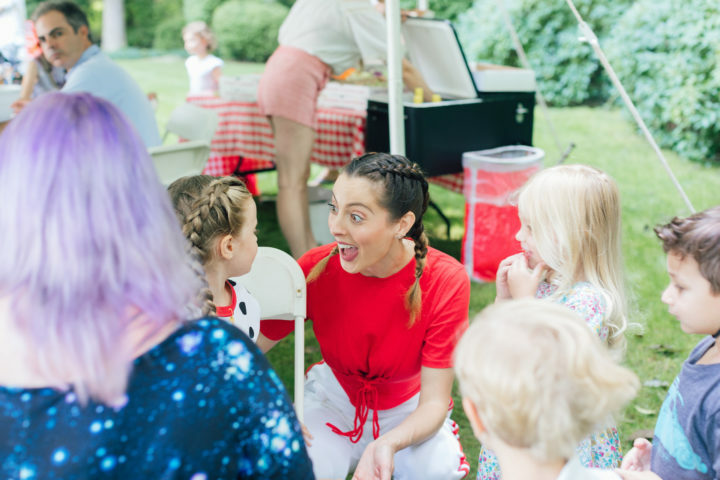 Eva, your parties are incredible. 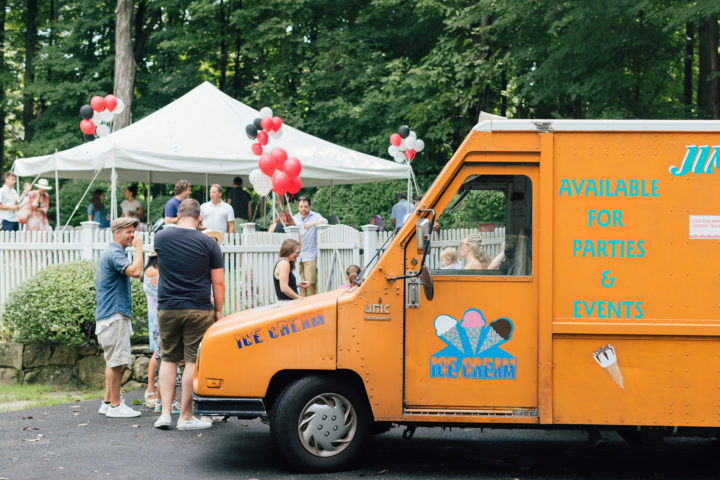 You should have been an event planner! Thank you so much for sharing these photos. 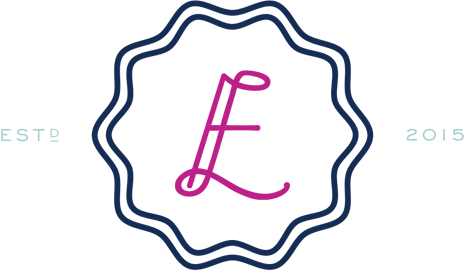 Where do you find all these great vendors? As my boys would say, you were very “extra.” What a great job on decor and that stuffed dog will put all future goody bags to shame. The firemen pics are priceless. Melissa and Doug is my FAVORITE toy company. 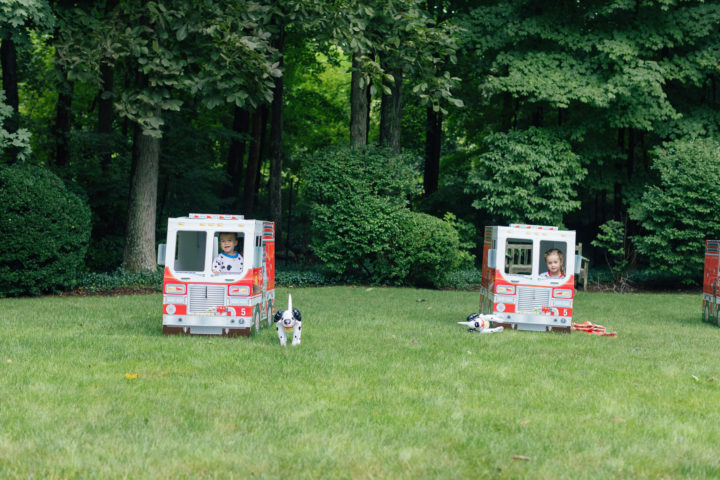 When my kids were young (they are 17 and 15 now), our house was like a Melissa and Doug showroom. The best made and adorable toys. They were also my children’s favorite toys. Great party. 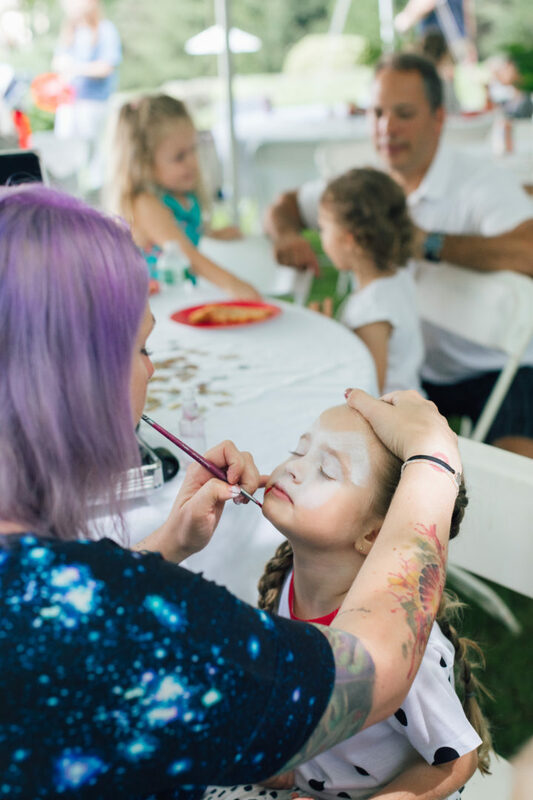 I loved throwing fun parties for my babies. Amazing party! 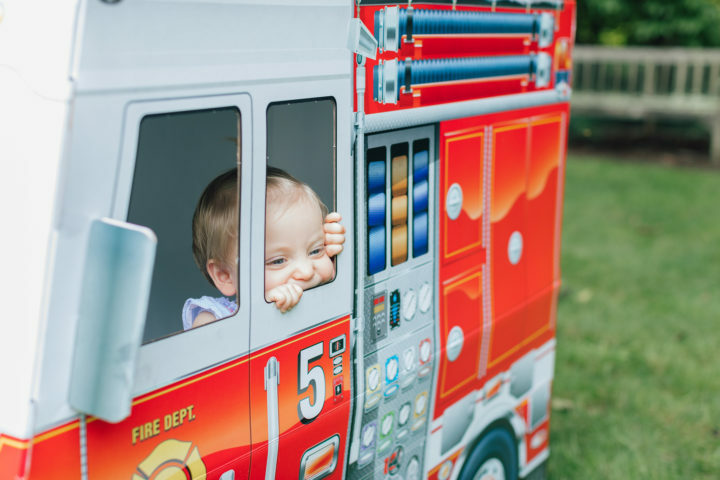 And the fire truck! Stunning! I’m a preggo hormonal mom of a 18 month old. 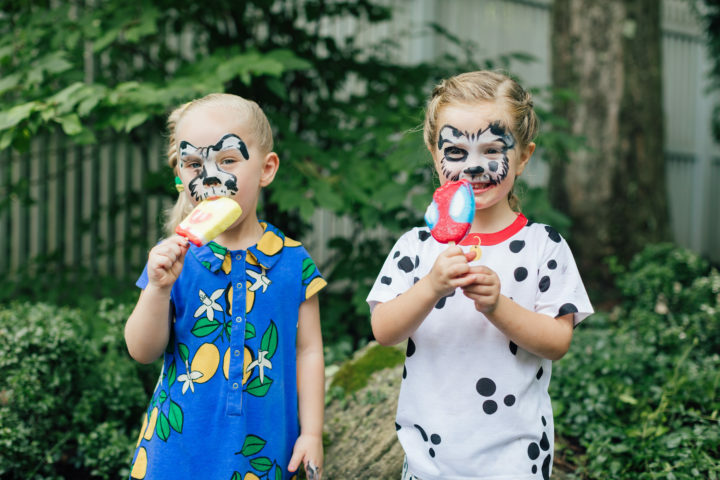 There was just so much joy and sweetness in this post that I found myself crying half way thru! HA What a treasure this day will be in your family’s heart. Also.. incredible planning and decor. Love it all! I ❤️ All the pictures and theme! 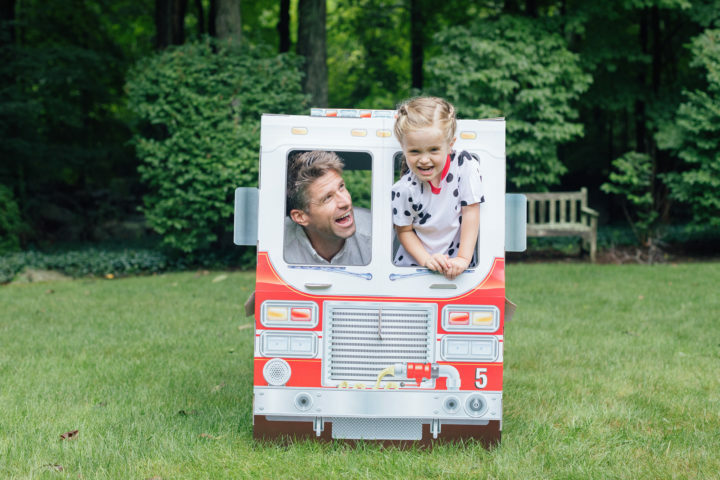 Seriously, how sweet is the fireman holding Marlowe! 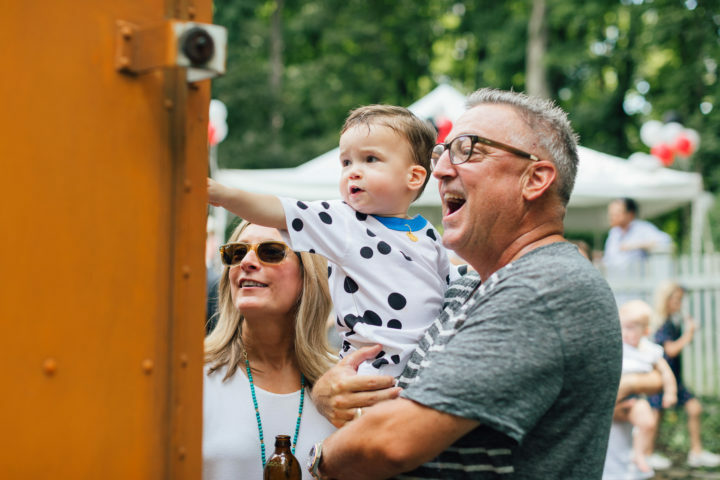 He looks like he is having as much fun as Marlowe at the party. 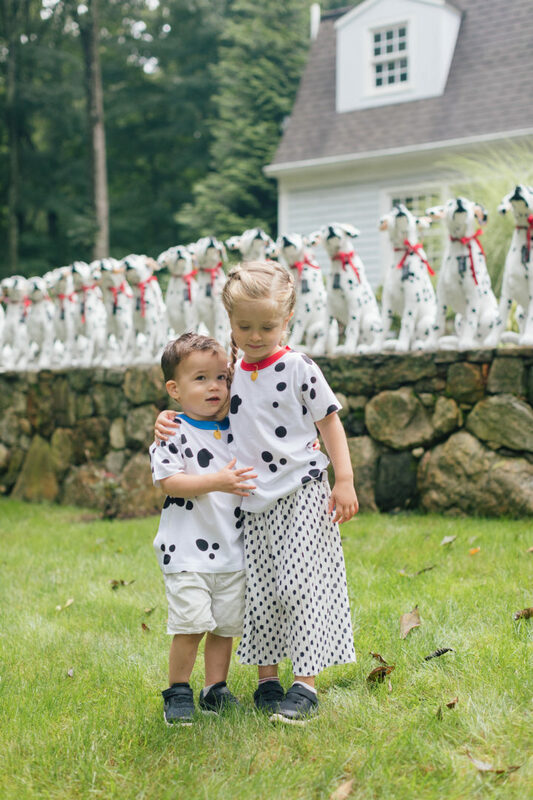 The Dalmatian wall is everything! Thank you!!! The firemen were SOOOOO sweet. Honestly the pics of them with her…they brought a tear to my eye!